5 Best VPNs for VoIP 2018 – What’s The Difference Between VPN and VoIP? Mandee Rose	● Posted on February 26, 2018 April 18, 2019 ● Leave a comment on 5 Best VPNs for VoIP 2018 – What’s The Difference Between VPN and VoIP? You don’t need to subscribe to an internet service to get on the web, because you can access the internet from free locations such as bars, restaurants, and coffee shops. This is a great saving if you just wander in for a coffee, then get to do all of your web surfing while you drink. The internet has an even bigger money saver that you should check out – cheap calls. The methodology that helps you make telephone calls over the internet is called Voice over Internet Protocol (VoIP). Some VoIP companies charge a fee, and you can even get a handset and an actual telephone number that people can call you on. Other systems, such as Skype and WhatsApp, let you make free calls to other people on the network. You can even make video calls with VoIP, which means you can actually see your friends and family while talking. If you work a long way from home, this service can be a real life saver. It is so hard to be hundreds or even thousands of miles away from your loved ones while you work. However, you don’t have to miss out on seeing your kids or nieces and nephews grow up, thanks to VoIP. Given that so many get so much happiness from VoIP – and save money – who could possibly object to the system? Governments. In some cases, the governments don’t like the fact that they can’t monitor VoIP calls the way they can wiretap landlines. In most cases, bans on VoIP are in place because they deprive telecoms companies of revenue from lucrative long-distance calls. Take the United Arabic Emirates, for example. This country has decided to invest big in infrastructure in the key cities of Dubai and Abu Dhabi. The nation is known to be one of the most liberal places in Arabia, due to its hope of attracting people from around the world to visit or settle there. However, it has a total ban on VoIP. Just about everyone who lives in Dubai comes from somewhere else – the construction workers are mainly from countries such as Pakistan or Kazakhstan, while the media execs hail from Europe and North America. The two legal telecoms companies in the country pay a fortune to the government for their licenses to operate. They make a bundle on international calls in order to recoup their costs and accelerate their profits. Skype would destroy them, so the government has banned Skype from operating in the UAE, and taken out all other VoIP companies too. If you are busy working abroad, you probably don’t have time to research all of the VPN services available. You need to be careful that you get a reputable service that maintains anonymity, because you wouldn’t want to be arrested for illegal use of VoIP. This review takes all the work out of deciding on a good VPN service, without limiting your choice. Read through our list of the five best VPNs for VoIP and give some of them a try. Most of them have free trial periods or money-back guarantees. Buffered has a simple to use interface that installs effortlessly. Buffered designed its app to run on smartphones, but also provides versions that work well on Windows computers and Macs. If you are a Linux buff, though, you will be disappointed to learn that the company doesn’t produce a version for your computer. Buffered is one of the easiest VPNs on the market to use. Applying this VPN to an internet service in a country where the internet service is slow can actually speed up the connection to other countries. World travelers will love the Port Discovery feature, which gets around the paywall on hotel and airport internet hotspots. ExpressVPN has servers in 94 countries. That makes it the most extensive VPN service on this list. This factor is important, because as a general rule of thumb, you will get a faster connection if you access a VPN server in the country that you want to connect to with VoIP. The service quality is high and connection speeds are very fast with ExpressVPN. These factors make it an excellent VPN to use with VoIP. The application is very easy to install and use, and the company has a good customer support department. NordVPN employs an encryption strategy that involves passing your traffic through two VPNs, creating doubly strong security. You can connect up to six devices at once with this service, which makes it a very cheap option, because you can share a subscription with friends. On the subject of price, NordVPN has a two-year subscription period that gives it the lowest monthly price of all the VPNs on this list. Although this VPN service is not the fastest of our five best, its speeds more than surpass those needed to enjoy a good VoIP call. VPNArea has many of the same qualities that make NordVPN a good deal (although it doesn’t offer a super cheap two-year subscription). The one-year subscription price makes this a low-cost VPN, with high-quality service that is sufficient to give you clear reception on VoIP calls. You won’t get any delays or echo on international VoIP calls, because the reliability and speed of the service exceeds the recommendations for VoIP connections. VPNArea lets you have six simultaneous connections, and it encourages its customers to share subscriptions. VyprVPN is the only service on the list that actually has a free trial period – all the others offer money-back guarantees instead. This company has done more than any of the others in our top five to avoid detection of VoIP and VPN traffic by the Internet Service Providers (ISPs) that its traffic passes through. VyprVPN has created a bespoke detection evasion method called Chameleon, and it defeats just about all government and ISP blocks. The company offers two service levels – Basic and Premium. VyprVPN’s premium package makes it onto out list of the five best VPNs for VoIP. Don’t be tempted by the basic package, because that doesn’t include the security methods that you will need to evade detection. Most broadband connections offer speeds that are more than fast enough for VoIP services. 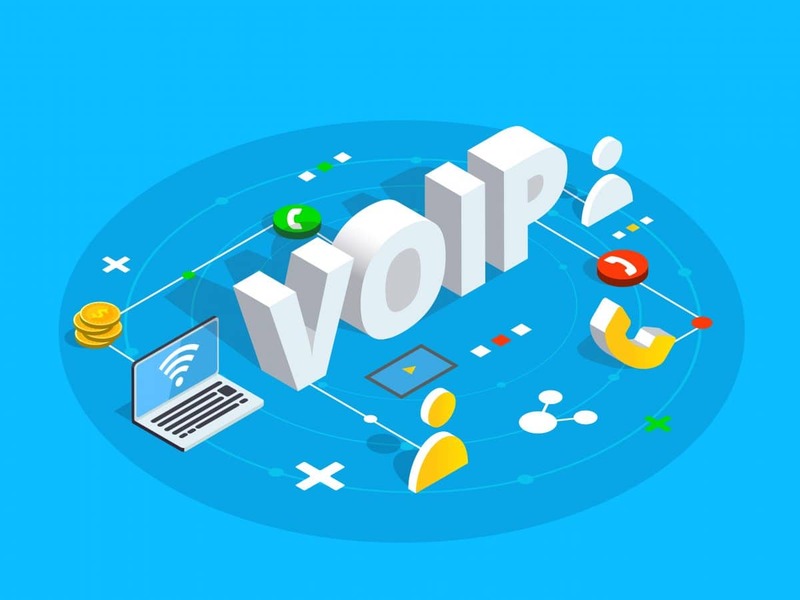 However, the re-routing, encrypting, packaging, decrypting, and forwarding functions of VPN services could slow down your connection speeds to the point where you aren’t able to make VoIP calls, even if they are allowed in the country where you are based. Some countries, such as Iran, deliberately keep the quality of internet service low in order to make many modern online facilities impossible to use there. The speed factor means it is really important that you use a reputable VPN service, rather than an amateur free service. You can check your connection speeds at Speedtest.net. When you take out any of these recommended VPN services, check the speeds again with the VPN running. In many cases you will see that these VPNs actually increase the speed of your connections. As a rule of thumb, these are the minimum speeds that you will require for your internet connection. Make sure you get a VPN service that is secure enough to confound ISP and government detection measures, or your calls will never get through. You also need to be certain that the speed of the connection you use is fast enough for VoIP calls, and that the VPN you use doesn’t slow down the transfer speeds to such an extent that you can’t make any calls. These factors are why the free trials and money-back promises of the services on our list are so important. You don’t want to shell out for a year’s service only to find that you can’t make any calls. All of the VPNs on our list will work well for VoIP. Don’t just take our word for it, try them yourself!